Wonder Woman’s Sensation Comics Returns! 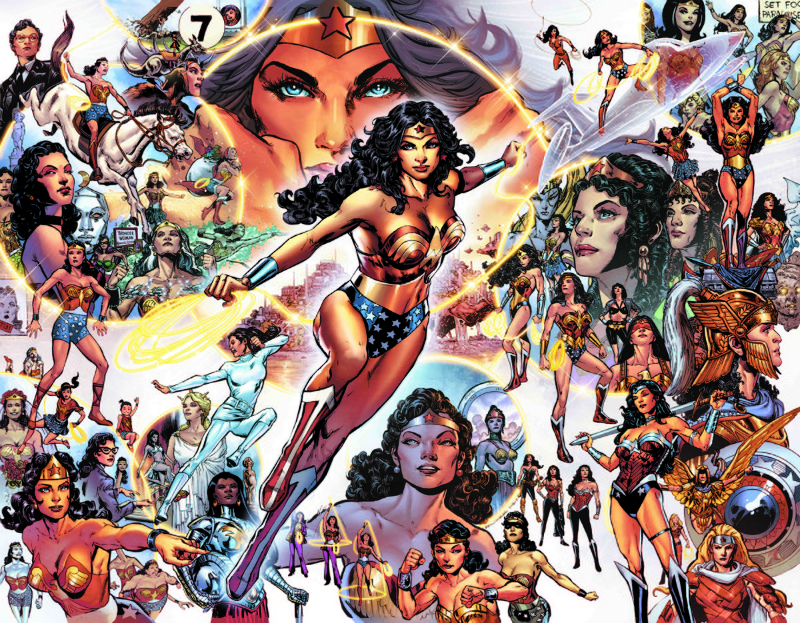 DC has announced that the Digital First line of comics will be joined by Sensation Comics Featuring Wonder Woman! I’m thoroughly excited by this – and I’m surprised it’s not getting more coverage – especially since this means that Wonder Woman now commands three titles: two ongoings with Wonder Woman and Superman/Wonder Woman and this new anthology Digital First series. The title is important to the character’s history in that, during the Golden Age, Sensation Comics was Wonder Woman’s “Action Comics”. Or her “Detective Comics”. It was the “secondary” anthology title that was published alongside her eponymous title (I put secondary in quotes since technically Sensation Comics hit stands well before the Wonder Woman title) and she would star in the book for over 100 issues. For years, we’ve had multiple Superman and Batman titles, as well as Justice League, Green Lantern, heck, we even have two Aquaman titles out right now. So even though Sensation Comics is Digital First, the printed issues will still hit the stands and I’ll be buying them. I like when DC recycles their old titles (All-Star Western, Sword of Sorcery, Worlds’ Finest, Quality’s National Comics, etc). And to have more Wonder Woman stories is always a good thing. PLUS! Look at that amazing Phil Jimenez variant cover! Great Hera!!! One of these days I’ll do a post featuring all of the great Jimenez DC character collages from the Green Lantern Corps, Donna Troy, the Flash Family, Legion of Super-Heroes, the JLA and their villains, and others. They are stunning with tons of history and mythos wrapped up in each and every one. Even this most recent Wonder Woman collage is testing my knowledge. I’ll have to do a breakdown of this image on a podcast someday. Can’t wait to read the Sensation Comics stuff. Even if we get only 12 issues out of the series, I’ll be happy. The digital first stuff from DC are the only titles that gain my interest nowadays. Looking forward to this one too (once EVS has gone past).